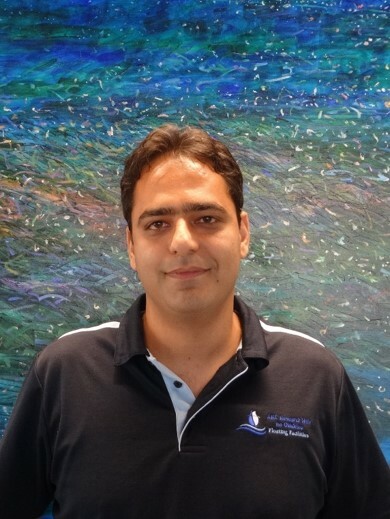 Rasoul Hejazi’s work tackles the fundamental dynamic behaviour of large diameter steel catenary riser (SCR) systems under random ocean waves and currents in the North West Shelf (NWS). Rasoul’s refined fatigue design procedure for SCRs will enable the use of larger diameter SCRs by moving the touchdown point (TDP) and thereby causing the distribution of fatigue damage over a longer span. The direct impact of refining the SCRs fatigue design procedure, means potential cost savings through the need for less subsea infrastructure, while at the same time allowing for an increase in production through the use of large diameter SCRs. Rasoul is an active participant in the OFFshore ITRH mentoring program. Incremental publication of Rasoul’s research is listed here and for further details, please refer to Rasoul’s profile page.